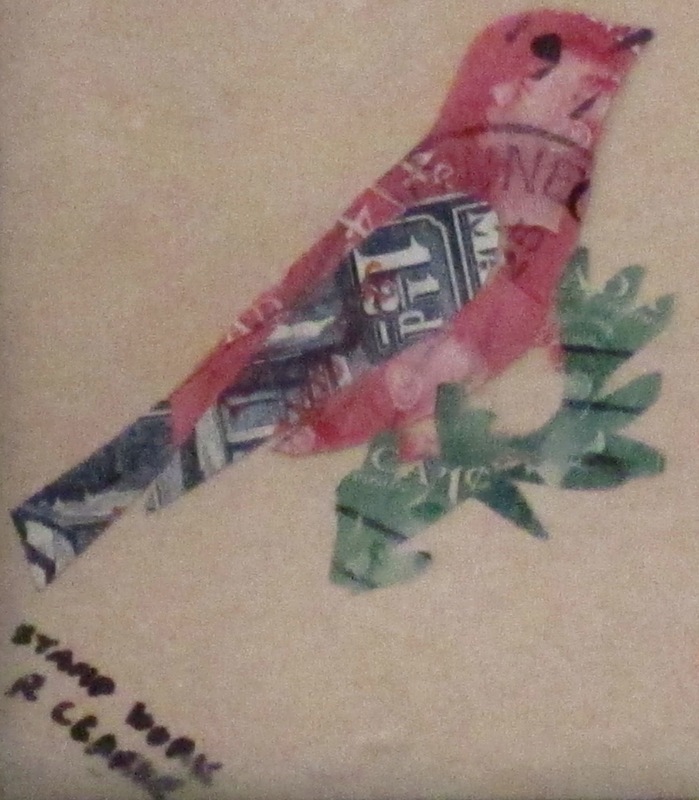 The skilled folk artist who titled this magnificent collage "STAMP WORK" and signed it "R. CLARKE" is believed to have lived in or near Weston, Ontario. Any further information about him would be appreciated. It is obvious from the quality of works signed by Clarke that he or she is an important Canadian folk artist whose life and work merits further research and study. This collage consists primarily of Canadian stamps, but British and American stamps are also used. It is mounted in its original frame and measures approximately 4 1/4" X 6 1/4" framed.